Whilst having a meal in a public house in York, I noticed the tablemats. 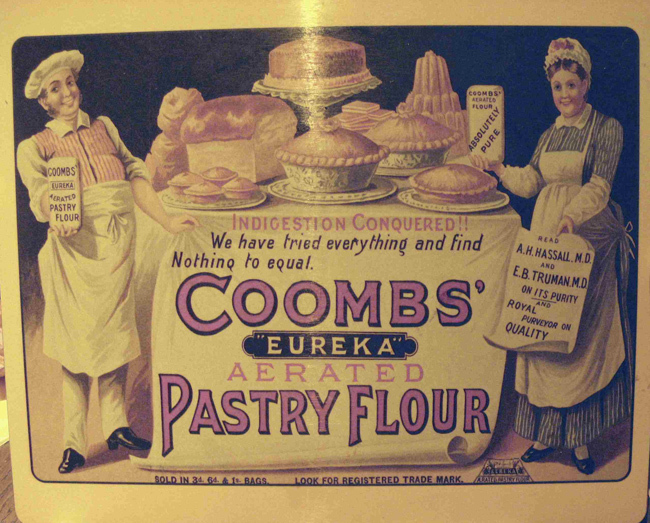 One was showing what I assume to be a copy of an old advertisement for Coombs’ Eureka Aerated Pastry Flour. In this picture there was a scroll saying “Read A. H. Hassall M.D. and E. B. Truman M.D. on its purity”. In the Presidential address of 2007, printed in the Winter edition of the Journal, there was a mention of Hassall as being one of the pioneers of using a microscope to detect adulterants in foodstuffs. For more details on Arthur Hill Hassall (1817–94), there is a good article by Dr Noel Coley on the Royal Society of Chemistry website. 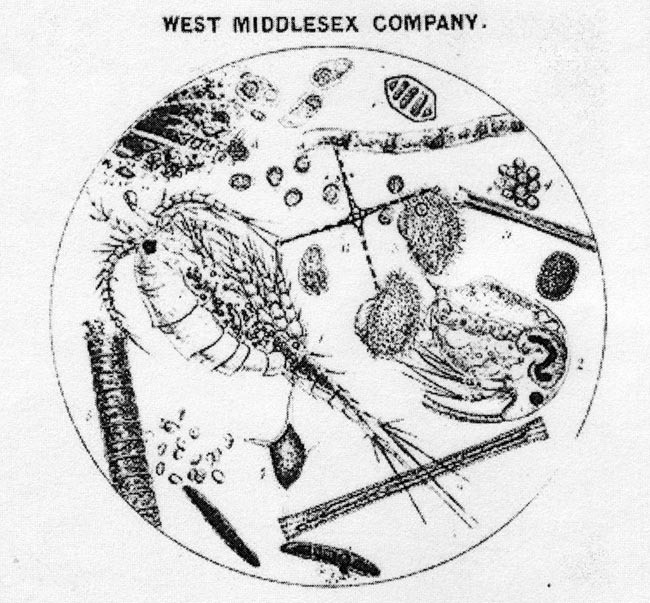 In this article, there is a report that between January 1851 and the end of 1854, Hassall bought some 2500 samples of food and drink for analysis, carefully recording the names and addresses of the vendors and the dates of purchase. He then did a detailed analysis of each sample and published the results in The Lancet as reports of the Analytical Sanitary Commission. The author states that the reports appeared weekly at first, then less frequently, and initially the reports did not identify the source of the samples analysed. 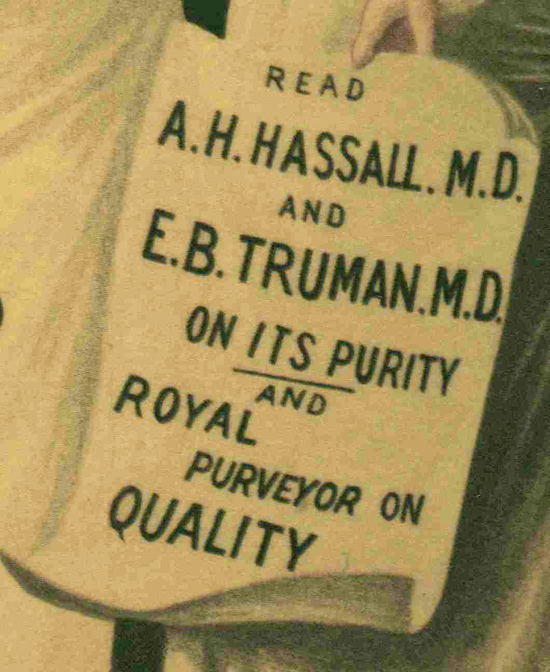 Hassall made sure that those who sold unadulterated food were named with a commendation. So Coombs’ Pastry flour must have been a good product! Interestingly, in the RSC article there is a reference to adulterated beer – useful for the visit to a public house!